Last week, we talked about how drones can be used to transport blood samples of remotely-located patients. And, beyond such conscientious measures, drones have also enticed many a military force around the world, for potential spying and interception activities. However, in all these cases, one factor remains paramount – and that relates to the navigational prowess of the drone itself. Simply put, engineers are still looking forward to avoid issues that might lead to the collision of the drones, especially in confined parameters (or with each other). Well, one of the solutions can come from the field of entomology. To that end, Dario Floreano at the Swiss Institute of Technology, has been inspired by the ‘insect vision’ of flying bugs, and he thinks – similar sensors can potentially aid in the navigation of wayward drones. 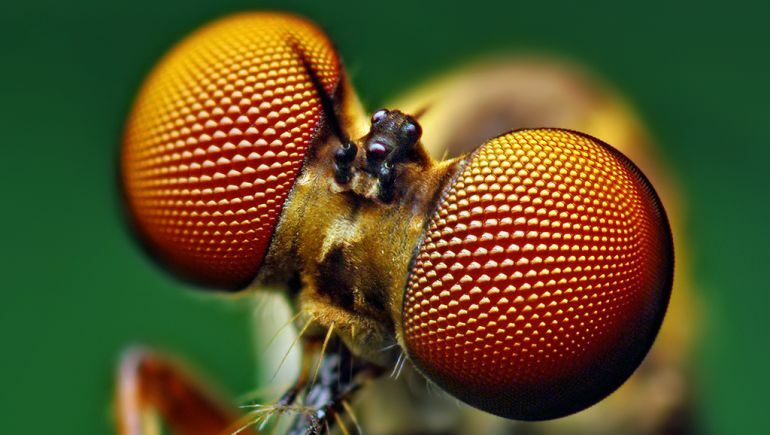 In terms of biology, the tiny compound eyes of the insects have very low spatial resolution. But this is more than made up for by their high sensitivity to reflection and alteration of light. In other words, while such eyes are not tailored to distinguishing objects in a detailed manner, they surely show their expertise in detecting any change in light. These credentials allow the insects to focus on incoming objects (by the reflection of light on these items), and thus they can change their course away from such objects. Now, in this case, Floreano has notched it up a level by designing sensors that are three-times more faster than any organic insect. This advantage of speed is bolstered by the lightweight of the sensor that comes at just around 2 milligrams (along with two cubic millimeters of volume). Now considering that such tiny sensors take the place of bulky digital cameras, the weight benefit becomes very crucial for drones that are banking on their advanced navigational abilities. As for the setup itself, the artificial eye incorporates a lens that is fixed on top of three electronic photodetectors in a triangular pattern. In essence, this allows the contraption to get the readings from all the three photodetectors; and this compiled data is used to sense the scope of speed and direction of motion (in its 360 field of vision). The good news is – the algorithms required for processing the signals, have already been developed. These inputs would allow the integrated chips to calculate various factors, ranging from distance between the drone and the object – to – the time interval to a potential impact scenario. The challenge, says Floreano, will be to combine multiple artificial eyes into configurations that allow the drone to “see all around” and avoid collisions, stabilize its flying position, land, and take off. He says the elementary eyes are particularly suited for drones that weigh 50 grams or less, and which cannot lift a payload larger than a few grams. And, in case you are interested in more insect-mimicking robots, do take a gander this incredible contrivance designed by South Korean scientists at the Seoul National University.